The UK consumer finance space is expanding at a fast rate as banks, building societies, savings and investment providers, mortgage companies and personal finance specialists continue to innovate. MoneyAge addresses these changes and provides IFAs, mortgage brokers, and the financial services sector with timely news, and in-depth analysis to help guide their advice and decisions. How can you work with MoneyAge? • Placed article promotion. Where you have an editorial-led whitepaper or article, we offer a package including an exclusive email to our extensive readership highlighting the article, and hosting on our site for maximum impact. 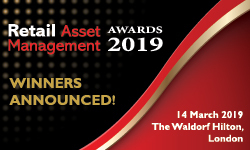 Furthermore, the MoneyAge awards sees 200 top executives from across the industry attend our lavish gala dinner at the stunning Millennium Hotel London Mayfair, celebrating excellence, professionalism and innovation in the hugely competitive but critically important personal finance space. Honouring the banks, building societies, savings and investment providers, mortgage companies and personal finance specialists that have proved themselves ahead of the game in the field of consumer finance with their product provision, innovation, focus on value and customer service, these awards are free to enter and are open to any financial services provider which serves consumers in the UK.